Ski jumper who won silver in the team large hill and bronze in the mixed normal hill at the 2013 World Championships. 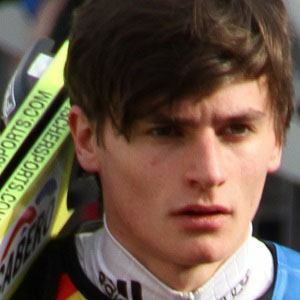 He won silver in the team normal hill at the 2011 FIS Junior World Ski Championships. He won team silver at the 2012 Ski Flying Championships. He was born in Erlabrunn, Germany. Judoka Marti Malloy also competed in the 2013 World Championships, winning silver for the United States.